Plants make the holidays all the more special. Living Christmas trees, Christmas Cactus, and Poinsettias have been holiday favorites for many years, but the Amaryllis is gaining in popularity. With the variety of festive colors available, it's easy to see why! 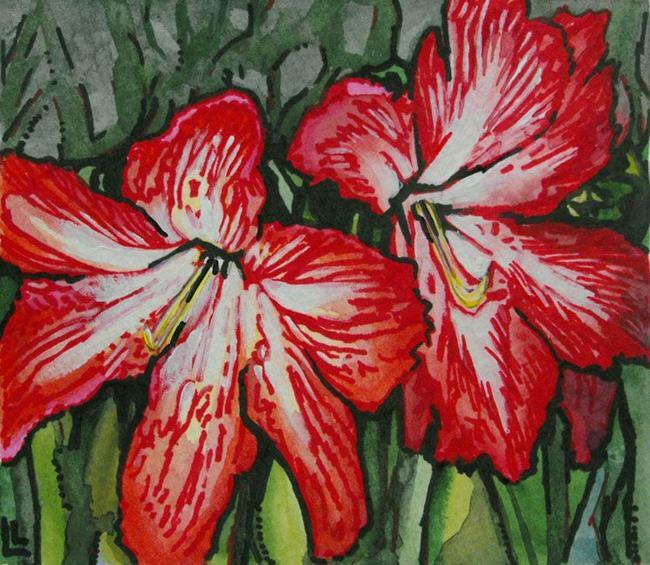 I created this piece for the December 2014 Amaryllis exhibit here at EBSQ.